Now Available: Christian Louboutin Beaute Lip Colour Collection | Top Beauty Blog in the Philippines covering Makeup Reviews, Swatches, Skincare and More! Presented in a jewelry box and offered with a carrying silk pouch, the designed mirrors an objet d'art so intimate as to be worn like a previous jewel that it transforms a forgotten object into a woman's magic wand. Available in three finishes—silky satin, velvet matte, and sheer voile — each has its own design. 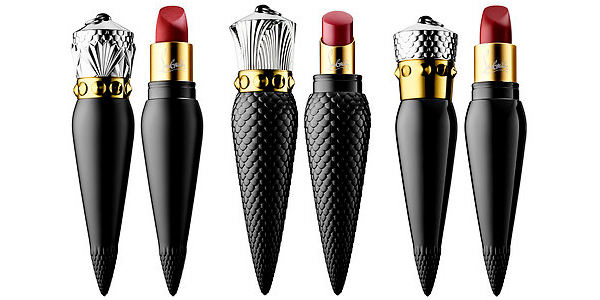 Each lip color features a unique elixir vial design with a silk ribbon to transform the lipstick into a necklace. The solid black or gold metal body holds the iconic Rouge Louboutin lip color. 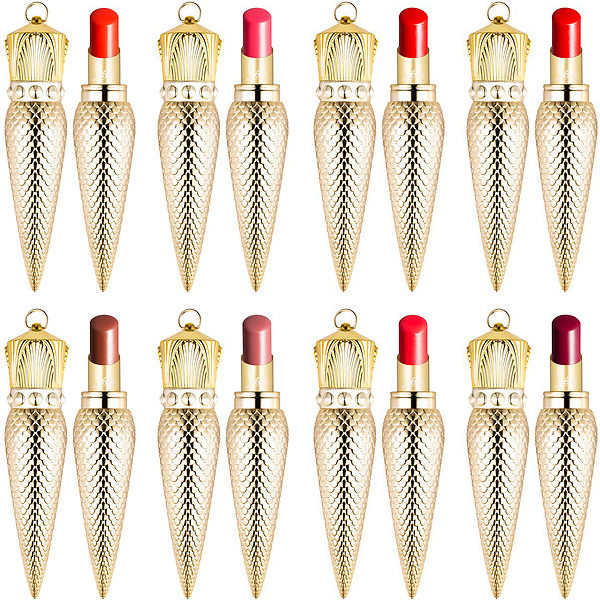 Christian Louboutin Sheer Voile Lip Colour $90.00 ( new / permanent ) - Glide on this sheer lip formula’s creamy-smooth nourishing finish. With a complex blend of natural oils and seed butters, it enhances the lips’ moisture for a protective effect against dryness. Christian Louboutin Velvet Matte Lip Colour $90.00 ( new / permanent ) - This Intensely rich color goes on with full coverage and sets with a soft touch matte finish Formulated with a complex of natural oils and seed butters to enhance moisturize for up to four hours, it provides a protective layer against dryness. These lip colors are available in a universal shade palette, ranging from light to deep tones, across mid-tonal and bright hues of pinks to berries, reds and corals, and nudes and browns. 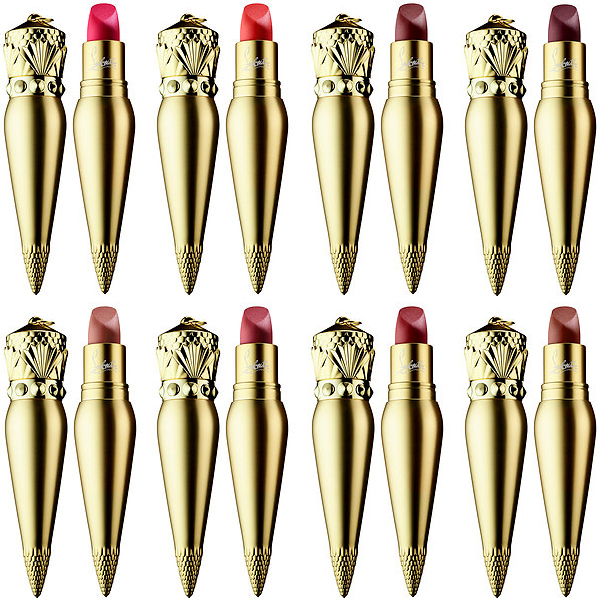 Christian Louboutin Silky Satin Lip Colour $90.00 ( new / permanent ) - This unique blend of ultra-fine color pigments express deep and generous color with a silky satin finish. Formulated with a complex of natural oils and seed butters, it enhances moisture for up to four hours and creates a protective effect against dryness. This lip color is available in a universal shade palette, ranging from light to deep tones, across mid-tonal and bright hues of pinks to berries, reds and corals, and nudes and browns. Wow these look amazing! What beautiful packaging! The designs of these, just wow! I'm in such awe! OMG, I LOVE IT! They're so beautiful!! The package is so chic! wow they look amazing! <3 great post! The packaging is awesome. Wow ! Lovely post dear.